Even though winter rye is much shorter than in previous years, it is fully headed and ready to be crimper rolled for subsequent pumpkin and squash crop planting. Winter rye provides an excellent cover crop for pumpkin and squash. 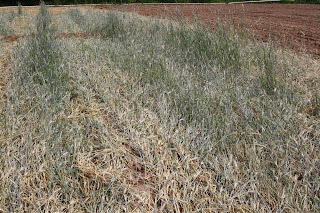 Not only does it help to supress weeds, but it also contributes to lower disease pressure and better storage life. In the Annapolis Valley winter rye is fully headed and it is time to begin to roll it now. In the conventional system it works better if it is sprayed with glyphosate either before, or after, crimper rolling. 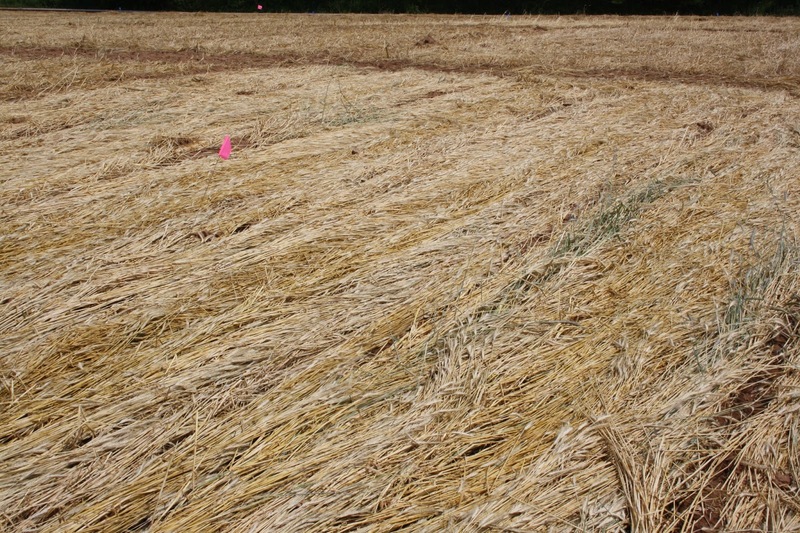 In an organic system, timing of rolling is important - if it is done too early the winter rye will come back. 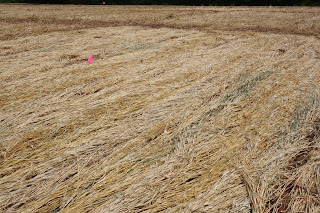 If it is done too late seeds might become viable and volunteer winter rye might be a problem later on during the growing season. It is recommended to plant the pumpkin or squash crop within 7-10 days of crimper rolling/ spraying. 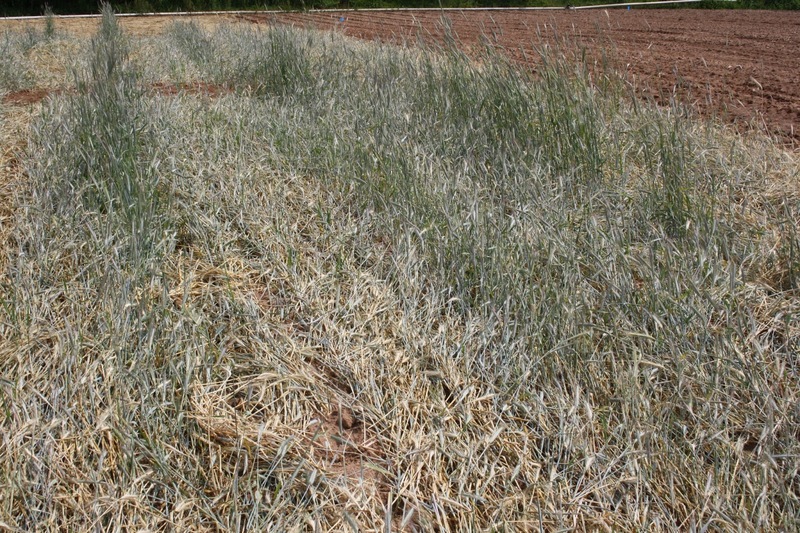 The residue of the winter rye will immobilize some of the nitrogen, therefore 15-25 percent extra nitrogen might be necessary for proper crop growth and development. Winter rye crimped and treated with Glyphosate.